Water is water right?! WRONG! I am a water aficionado! Water is my absolute favorite drink. Honestly. I could forgo all else as long as I had water. I'm really picky about my water too! We have well water at our house which is how I grew up in my younger years as well. However when we moved to Brooklyn, we drank city water and I never liked the taste or smell. Eventually bottle water became all the craze and I found myself partial to certain brands and not always the most expensive kind. 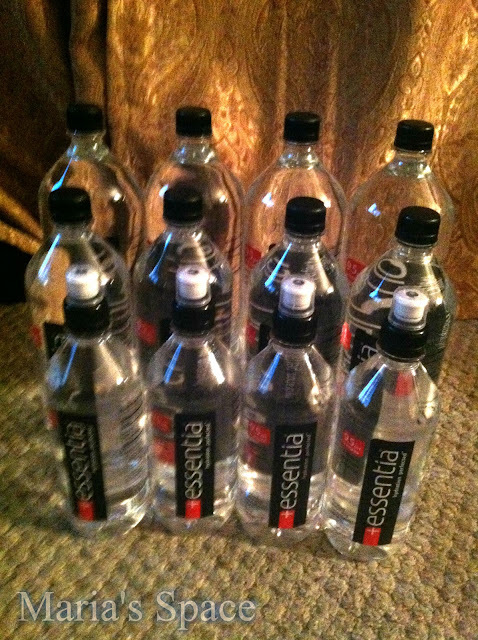 I like a cool, crisp taste with no flavor or aftertaste which brings me to Essentia! We received a huge, generous shipment to try out for ourselves. We learned it is a functional water meaning that it is pH balanced for hydration and is infused with electrolytes and minerals. Ionic Separation - Oxidizer acidic water clusters are separated from the alkaline water clusters and removed from the water. You can really taste the difference. My kids and I are all water drinkers. This water lasted us about 6 days. Over the past year I have read more and more about the importance of keeping your body more alkaline and I make a concoction to drink for this reason. Knowing I can get my favorite drink and it already takes care of that for me makes me very happy. I found out that you can get the water on Amazon but you can also get it at many stores. Fortunately my Walmart has it so we can get it when we need it. I drink a LOT of water! I'd say about 12 - 15 glasses a day, more if it's hot. I take meds that make me thirsty so I do drink water all day long! I probably drink the equivalent of about six glasses of water. Maybe not every single day, but I do try. I try to drink 3 12 oz glasses a day...sometimes I do, sometimes I don't. I aim for 6-8 glasses of water a day but I drink closer to 3-4. I'm not a fan of water. I think I drink about 2 8 ounce glasses of water a day. I'm limited to 64 fluid ounces a day. I drink about 2 glasses of water a day. I know I need to drink more. I really need to drink more water! I would say I drink about 3 bottles a day. I drink A LOT of water.If I was to guess I would say 10 glasses or more. I usually drink anywhere from 6-8 glasses of water a day but increase that to almost double in the warmer weather months. 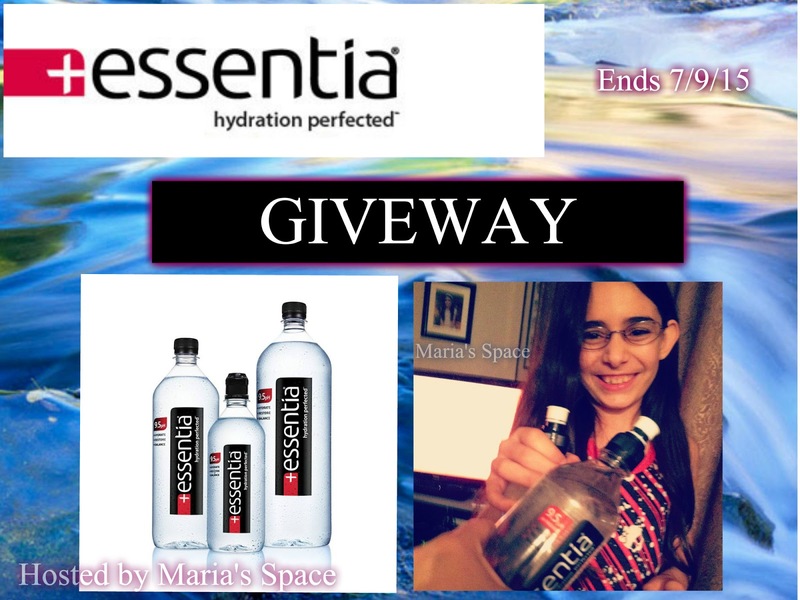 Thanks so much for hosting this giveaway! I only drink about 2 but I know I should drink more. Hmm, it varies, but I probably drink 4 or 5 bottles of water a day. Sometimes, I add a little flavor to it. I usually drink about 4-5 glasses of water everyday! I try to drink at least 8 glasses of water a day. I only drink about 2 - 3 glasses a day of water. Not nearly as much as I should. I drink a lot of water a day. I don't drink anything else but water so I have about four large glasses of water a day. A lot! I try to have probably 12-15 cups or more a day. If I don't drink enough water, I tend to feel slugglish and greasy! Gross!